Latest technology from L’Oréal Professional which you can achieve beautiful partial highlights in top speed. Struggling to make time for yourself? Then this could be the perfect service for you. This speedy new method takes just half the time of most lightening services. Instant highlights can even be achieved in your lunch hour. Instant highlight are a non-bleach lightening cream which is kinder to your hair, the special formula allows your hair to lift 5 levels. Instant highlights are recommended for partial lightening techniques, perfect for first time highlights or to add definition flashes of colour, great for breaking up the full head heavy colour effect. Instant highlights are perfect for Ombre and Balayage looks. For maximum effect finish your instant highlight with a L’Oréal glaze. The new L’Oréal metallic glazers have been a great success and have achieved beautiful metallic shades and shine to clients’ hair. These metallic glazers are available in grey, blue and rose tones. Read our January 2018 blog for more information on L’Oréal metallic glazers. Enjoy a L’Oréal glazer to refresh your colour between appointments for only £10. 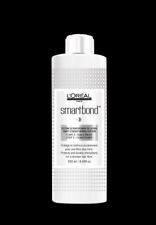 Upgrade your colour for maximum care and anti-breakage with L’Oréal Smartbond re-bonding system. Read our client testimonials; so many clients are noticing the difference with using Smartbond, with less fade on your hair colour, less static and most importantly less breakage on the hair. Smartbond is the must have re-bonding system to keep your hair feeling and looking its best for only £8.50. If you have already enjoyed the benefits of Smartbond why not purchase Smartbond stage 3 for home use to keep hair strong for only £15? Smartbond stage three treatment is easy to use at home. All you have to do is apply Smartbond stage three to towel dried hair before shampooing massage throughout the hair, re-rub your hands together to ensure all the cream has been applied to your hair. 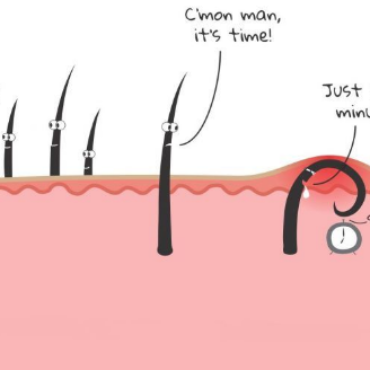 Smartbond stage three can be left in the hair for 10-15 minutes. Hair can then be shampooed and conditioned as normal.